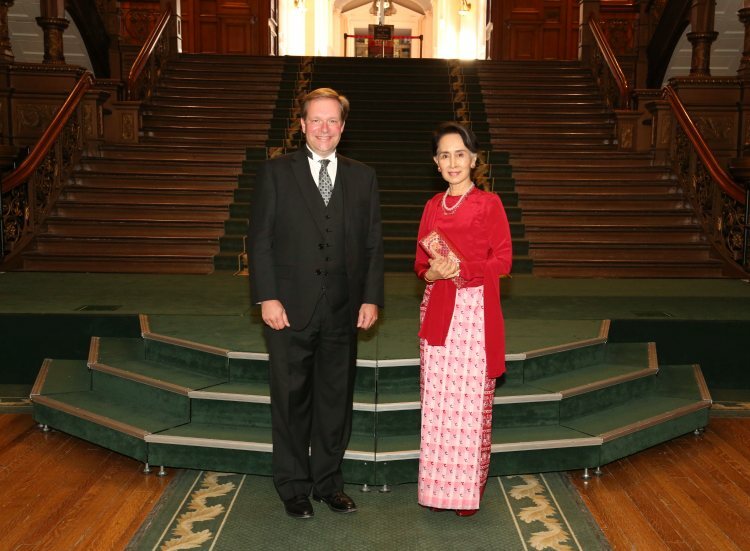 Wellington-Halton Hills MPP Ted Arnott was honoured to welcome Her Excellency Aung San Suu Kyi, the Head of State of Myanmar (Burma) to the Ontario Legislature on June 8th. Aung San Suu Kyi was awarded the Nobel Peace Prize in 1991 for her courageous efforts to promote democracy and freedom in Myanmar. She is also one of only six people in history to have received honourary Canadian citizenship.